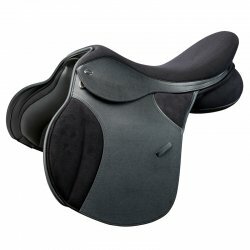 This saddle features surface-mounted knee blocks which are contoured to provide enhanced in-saddle security for the rider without restriction of the knees. The dressage specific tree is designed to help you perfect your dressage seat, making schooling and competing more satisfying. 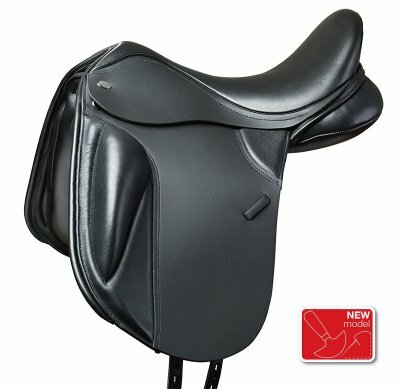 The quality leather seat and knee pads give the feel of riding on an all leather saddle without the expense. 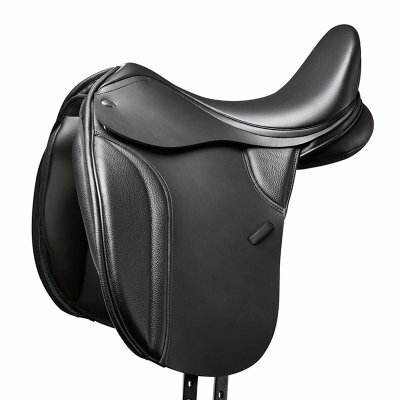 The low profile panel is wool flocked and offers closer rider contact and remarkable saddle stability, while the open-headed tree is suited to a wide variety of conformations. 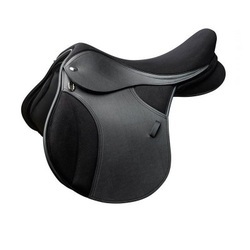 There are three girthing options which enable the saddle to be girthed according to the horse’s movement. Three built-in girthing options ensure maximum saddle stability. This is a universal fitting saddle with an open-headed tree and a broad panel design that interfaces well with most conformations. Cut far enough forward to allow for jumping as well as schooling and hacking. However, the new Thorowgood T8 Anatomic GP is bursting with features that both horse and rider will appreciate. The new and patented panel design eliminates the part of the panel which can restrict the shoulder and replaces it with a versatile double knee block system. The second is that the saddle will stay still, even during big shoulder movements. 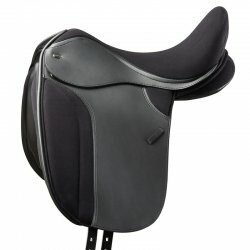 On a conventional saddle, pressure at the front transmits to movement at the rear of the panel, causing instability for both rider and horse. 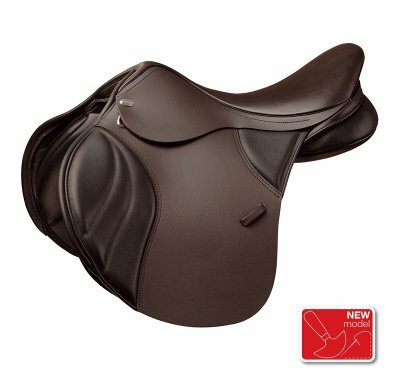 Thirdly, as the Thorowgood T8 Anatomic GP’s under support blocks come in two different depths (standard and thin), and are easily inter-changeable, it provides a solution for horses with very large shoulders as well as enabling the rider to sit symmetrically on a horse with asymmetric shoulders! 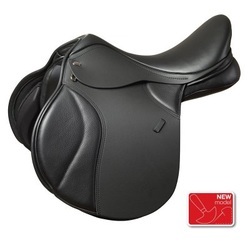 Quality leather seat and knee pads give the feel of riding on an all leather saddle. 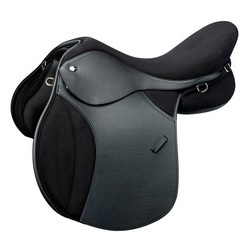 Short panel design allows this saddle to fit on short-backed Arab types. Straighter cut flap and panel allow for the longer, more relaxed endurance leg position. Fitted with 5 heavy duty D rings at the rear and 2 at the front for attaching essential kit. 4 girthing options to achieve maximum saddle stability.